Flight-seeing over Glacier Bay National Park, cruise Glacier Bay, hiking in Tombstone Territorial Park, sightseeing in Kluane National Park, take a historic train ride over the White Pass, canoe the Yukon River, explore Klondike gold rush towns Whitehorse, Skagway, and Dawson City. This tour may require a mandatory single supplement charge of $977 if you join our share program and we are unable to pair you. This tour was designed by, and will be led by, senior Tour Leader, Rachel Bertsch-Kristensen, who resides in Canada's North. She invites you to join her on this special journey. North of the 60th parallel is a landscape as wild as it is beautiful. It is a broad land that is larger than life, that is a perfect destination for those who love nature. On this custom tour, we will have countless memories in grand settings. We'll cruise deep fjords and watch the crumbling glaciers in Glacier Bay National Park. 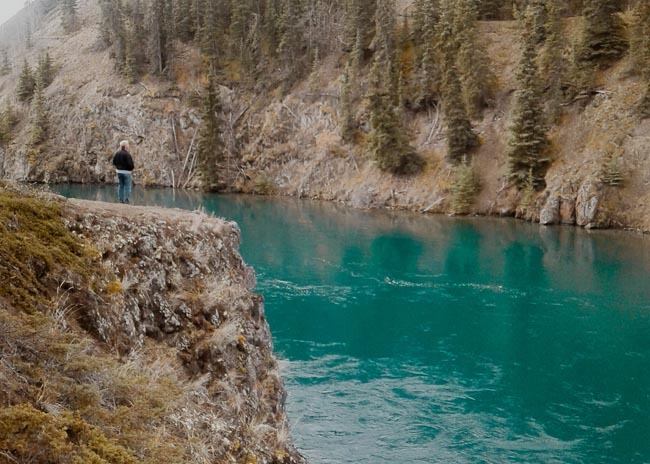 Admire the emerald green Yukon River as it cuts through the endless boreal forests. 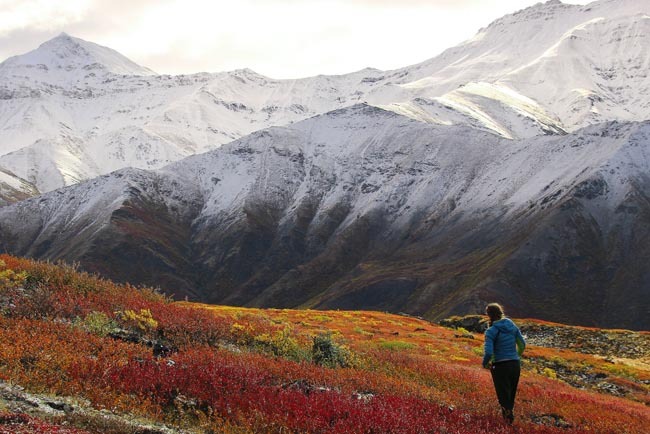 Walk among the giant mountain-scapes in Kluane National Park, home to Canada's tallest mountain. 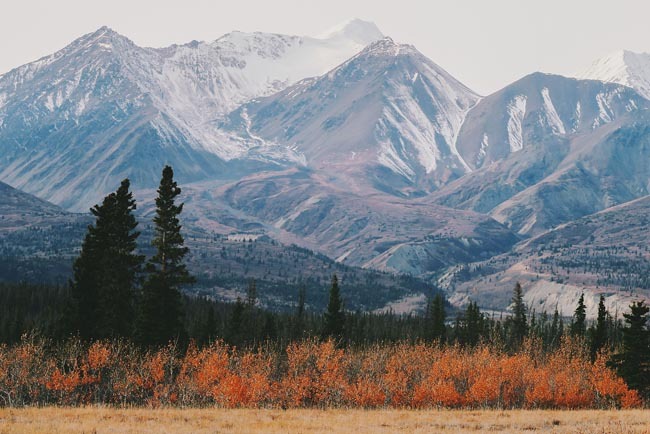 Discover the intense colours of fall foliage in Tombstone Territorial Park, considered Canada's equivalent to Patagonia. 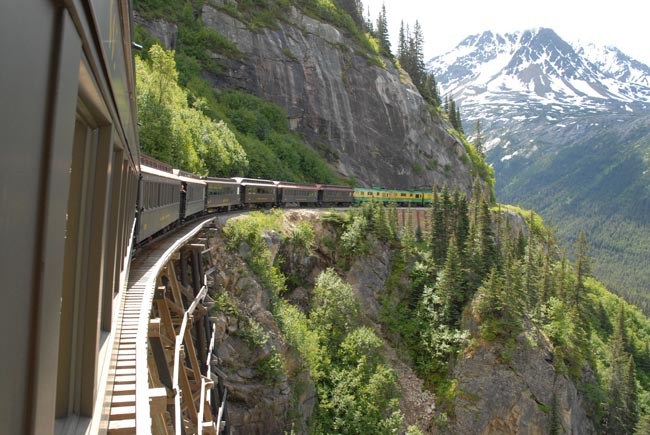 Follow the gold rush trails with a scenic train ride over the White Pass near the Chilkoot Trail. Soar above the glaciers and mountains, passing river valleys and coastal inlets of southeast Alaska. Join us as we get caught up in the 'Spell of the Yukon' and take you through an inspired itinerary with plenty of local highlights, make several once in a lifetime memories, and witness a variety of natural landscapes like none other. Welcome to Whitehorse, the wilderness city! Arrive in Whitehorse, known for their long days under midnight sun during summer months and aurora borealis or northern lights displays between mid-August and April. As the capital city of the Yukon Territory, this small city of 27,000 is nestled alongside the famous Yukon River, a nearly 3,200 km emerald coloured river that empties into the Bering Sea. It was along this river that the tens of thousands of prospectors made their way to the Klondike Gold Fields between 1896 to 1899. Check into your hotel downtown and have the afternoon on your own to explore this fine city before meeting your tour director and fellow passengers for an evening meal. We start our tour by getting to know Whitehorse a little better with a quick orientation driving tour. Known as the wilderness city, we will follow the Yukon River upstream to the famous Miles Canyon and what was the start of the Whitehorse Rapids. This magnificent basalt canyon where the Yukon River narrowly channels through was once a major challenge for prospectors on their way to the Klondike. Today, it is a postcard perfect vista with a walking bridge over the emerald Yukon River and a starting point for many of the city’s walking, biking, and cross country ski trails. We’ll take a short (3.5km) walk along a mostly flat trail in the boreal forest to better understand the flora and fauna of this northern region, while learning a bit of gold rush and first nations history that belong to this area. After a pause for an independent lunch in downtown Whitehorse, we will venture to the Wildlife Preserve to view 13 species of northern Canadian mammals in their natural environment. Set amongst 700 acres of various habitats, the Wildlife Preserve is the perfect introduction to what animals share these wild spaces with locals. We start our day by driving west on the Alaska Highway towards Kluane National Park, a UNESCO World Heritage Site since 1979. Home to the world’s largest non-polar ice field and Canada’s highest mountain (Mt. Logan), Kluane is a park sure to impress. On the scenic drive from Whitehorse, we will keep a look out for elk, sheep, moose, grizzly bears, and many more species of animals that call the Yukon home. We will enjoy a picnic lunch within the park. Stops will include strolling the shores of Kathleen Lake, under the shadow of King’s Throne Peak, a popular hiking trail in the Yukon. Kathleen Lake is also home to Kokanee Salmon, a land locked lake fish with great importance to the local first nations. 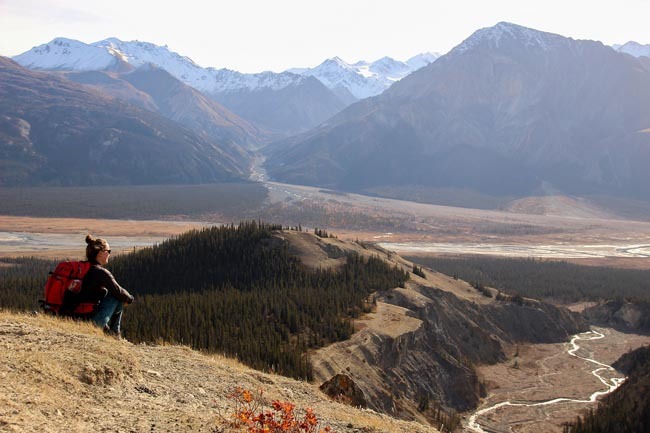 No visit to Kluane is complete without a short hike, and our day will include a drive north to Kluane Lake and the Slim’s River Valley for a worthy 4km trek along Sheep’s Creek. Today is another opportunity to discover why the Yukon’s motto is ‘larger than life’. 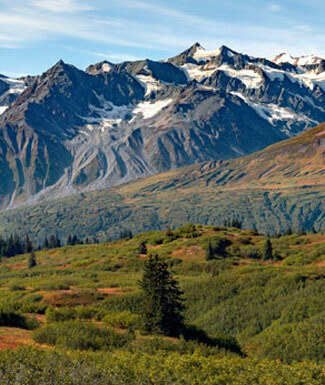 Following the Haines Road, we will venture south from Kluane National Park through British Columbia’s wild Tatshenshini-Alsek Park and into the Chilkat River Valley that drains near Haines, Alaska in the Gulf of Alaska. On our arrival to this quaint coastal Alaskan town, we’ll meet with our seaplane charter flight to cruise over the impressive mountains of St Elias, and the fjords that surround Glacier Bay National Park. 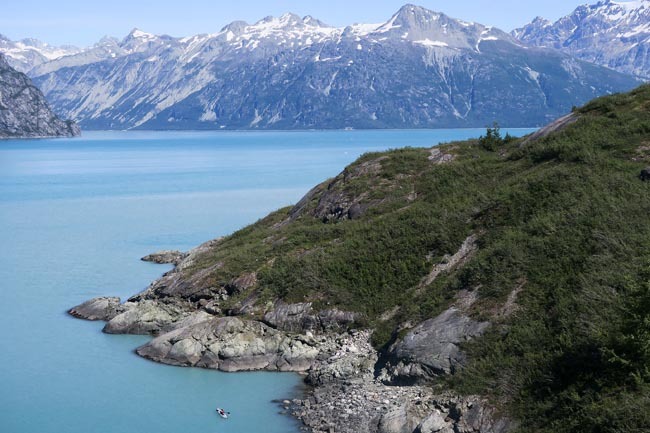 Pack your fully-charged camera and enjoy the most spectacular coastal scenery before arriving at our destination of Gustavus, our gateway to Glacier Bay National Park. This park covers 3.3 million acres of rugged mountains, dynamic glaciers, temperate rainforest, wild coastlines and deep sheltered fjords. Glacier Bay National Park is a highlight of Alaska's Inside Passage and part of a 25-million acre World Heritage Site that joins with Kluane National Park and is one of the world’s largest international protected areas. Overnight at Glacier Bay Lodge. The true highlight of Alaska, no trip is complete until you experience Glacier Bay’s mountains, fjords, forests, and tidewater glaciers. Glacier Bay is a remote, unspoiled place where wildlife outnumbers roads a million to one. From the calm waters of Bartlett Cove we join a full day boat tour on a high-speed catamaran to the West Arm of Glacier Bay. We’ll keep an eye out for otters, puffins, humpback whales, grizzly bears, seals, and sea lions found in the waters and along the coastline that lead up to the magnificent tidewater glaciers. Afterwards we will return to our comfortable lodge in Bartlett Cove. Today is the chance to soak up the atmosphere of Glacier Bay with no set schedule. Bartlett Cove is the location of our lodge, and was once the location of the terminus of a 160km long glacier only 200 years ago. 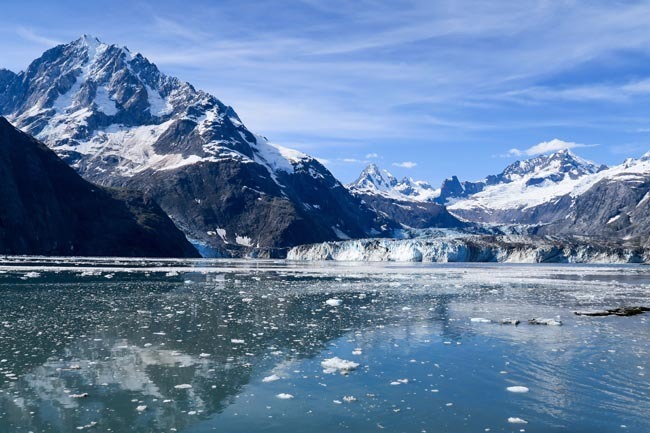 Glacier Bay encompasses some of our continent's most amazing scenery and wildness. It is a living laboratory, a national park, a biosphere reserve, and a world heritage site. We may embark on a short hike along the shoreline looking for some of the 281 species of birds found within this park, before venturing into the spruce and hemlock forest trail, searching for porcupines and red squirrels. Alternatively, we may explore the totems at Xunaa Shuka Hit, the Huna Tribal House. After lunch, we will once again have a scenic flight over more mountain peaks, rivers and glaciers than you could come to know in a lifetime. We will discover the textures, colours and light that make up the Davidson and Rainbow Glaciers before landing in Skagway, Alaska. Skagway was once a lawless town in the frontiers of Alaska, where most prospectors arrived by steamboat before making their way over the Chilkoot Trail. We will have a short orientation walking tour of this town before enjoying dinner (on your own this evening) in some of the fine establishments of this gold rush town. We start with an early departure on the historic White Pass & Yukon Route train. Considered one of the scenic railway tours of the world, this track was built in 1898 during the Klondike Gold Rush. Follow this marvel of engineering that endures harsh winter weather and overcomes challenging geography to reach a panorama of mountains, glaciers, gorges, waterfalls, tunnels, and trestles. We’ll climb 1000m (3,000ft) in elevation in just 32km (20 miles) over the White Pass and into remote wilderness to Lake Bennett, accessible only by White Pass & Yukon Route or a 33-mile hike on the Chilkoot Trail! Fully-narrated, with comfortable coach cars and a hearty boxed lunch served aboard the train along the length of Lake Bennett, this excursion into the wild brings you 67.5 miles to Carcross, Yukon. Once in Carcross, we will have the opportunity to discover more about the Tagish and Tlingit First Nations before boarding our bus back to Whitehorse. We’ll make time to pause at the “world’s smallest desert” before arriving at our hotel. After a leisurely breakfast, this morning we will have an optional walk along the millenium trail (5km) before a break for lunch and an afternoon flight to Dawson City. Alternatively, you may wish to explore some of Whitehorse’s fine museums such as the McBride Museum (entrance $10) which focuses on local history or the Kwanlin-Dun Cultural Centre which shares local indigenous customs and history. In the afternoon we will regroup for a scheduled flight to Dawson City, Yukon -- home to the Klondike Gold Rush. We’ll enjoy a short orientation walking tour on arrival, touring the towns unpaved roads, wooden boardwalks, and learning about the gold rush lore. Founded in 1898, this city was once the capital of the Yukon until 1952 and still retains much of its charms. Today is the chance to drive along the famous Dempster Highway into Tombstone Territorial Park. 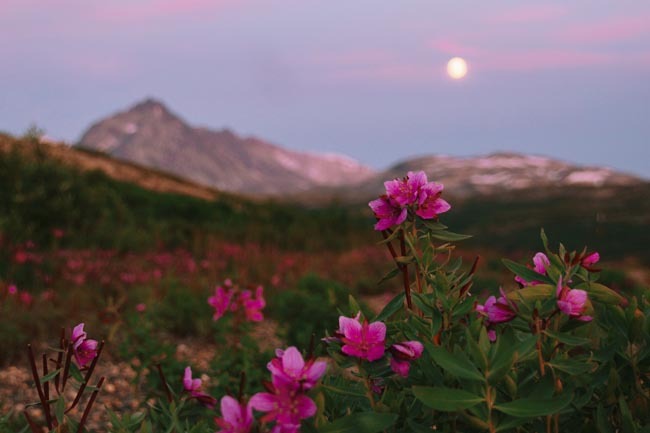 Famous for its rough road and plentiful photo opportunities, the Dempster Highway connects the Klondike Highway near Dawson City to the Arctic Circle and beyond to the Arctic Ocean. Our destination is 70km down this road to the craggy peaks that soar above the dwarfed willow and lichen subarctic vegetation that line the river valleys. Along our full day tour, which will include a picnic lunch and a stop at the interpretive centre, we will have the chance to stretch out our legs and hike the 4km Goldensides Trail that provides great views down along the Dempster Highway, the North Klondike valley to Tombstone Mountain, and the mountains and ridges to the west. After our full day tour, we will have the chance to revel once again in the splendors of the gold rush town of Dawson City, where we overnight. Due to inclement weather possibilities, today will be our second chance to explore Tombstone Territorial Park. Once again we will enjoy a scenic drive along the Dempster Highway, hoping to spot moose, deer, wolverines, sheep, mountain goat, or bear along the journey. 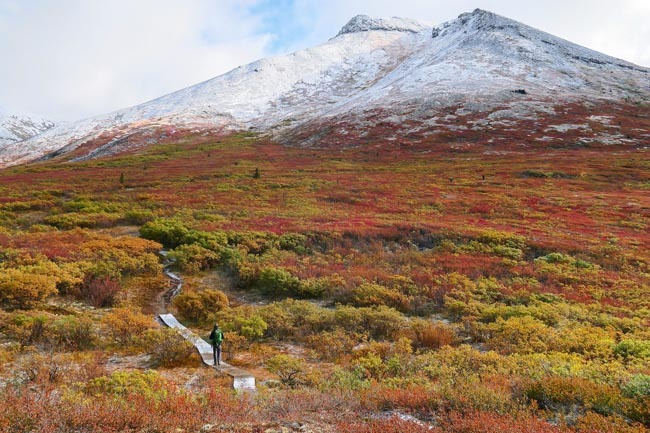 We will take the opportunity to once again hit the trails for a one-hour guided flat terrain hike along the North Klondike River, hoping to experience the full fall colour palette this area is famed for. After our tour in Tombstone, we return to Dawson City. We say goodbye to the Klondike and head back to Whitehorse on an scheduled morning flight. Upon arrival we get ready for a peaceful paddle, perfect for beginners and seasoned paddlers alike, from downtown Whitehorse down the historic Yukon River. As we ply the emerald green waters, we keep an eye out for eagles that line the trees above the river in search of their salmon dinner below. After our paddle, we return to our hotel in downtown Whitehorse and prepare to raise a glass to our friends and salut an incredible journey completed. Adjoining the Yukon Convention Centre, this laid-back hotel is 2 blocks from the SS Klondike Historic Site along the Yukon ...	and 6 km from Erik Nielsen Whitehorse International Airport. Warm, homey rooms feature free Wi-Fi, flat-screen TVs, desks and iPod docks, as well as minifridges, microwaves, and tea and coffeemaking equipment. 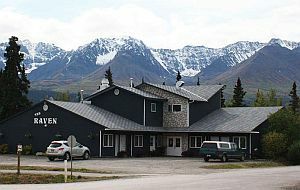 The Raven Hotel is located in the beautiful community of Haines Junction in southwest Yukon. The hotel is strategically located ...	few steps from the town's amenities, including the Kluane National Park Visitor Centre. The only hotel in the park, this property offers simple, wood-paneled rooms & a dining room. In an area popular with tourists, this casual hotel amid businesses is a 7-minute walk from history exhibits at the ...	Museum and 9 minutes' walk from the Port of Skagway on Skagway River. 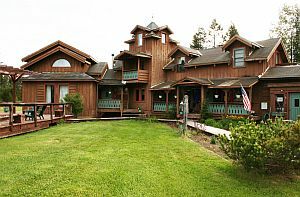 Warmly decorated rooms, some featuring exposed wood beams, come with TVs and en suite bathrooms. Set in 4 Victorian Old West-style buildings, this relaxed seasonal hotel is 2 minutes' walk from the Dawson City Museum ...	4 minutes' walk from hiking trails along the Yukon River. Warm rooms with classic decor feature cable TV and coffeemakers. Breakfast daily, six lunches & and nine dinners (hotels & local restaurants). All transport, accommodation, sightseeing and entrance fees for sites noted as 'visited' in the detailed itinerary. Gratuities for local guides, drivers, restaurant staff, porters, and airport transfers (complimentary hotel shuttle). International airfare to/from the tour. Tour Leader gratuities, some lunches & dinner (see tour itinerary), drinks, personal items (phone, laundry, etc), domestic and international air taxes (if applicable), any excursions referenced as 'optional'. Optional trip cancellation insurance. Our post-reservation trip notes offer further guidance on optional meal costs and shopping. This tour is offered in what is considered autumn north of 60 degrees. Weather conditions throughout are highly (and notoriously) changeable. Expect cooler temperatures and warm wear including sturdy waterproof shoes are strongly recommended. Dress in layers as the afternoon is significantly warmer than the mornings and evenings. Rain and snow may be likely in any location, particularly rain in Southeast Alaska and particularly snow while near Tombstone Territorial Park. Whitehorse enjoys a typically dry climate that often is windy. That said, it can snow any day of the year this far north and this is just another one of this region's many charms. Most of the land transport throughout will be by private air-conditioned small-size motor coach. Though we will have a couple of full bus days there are plenty of stops of interest. Our flight in and out of Glacier Bay National Park will be a small charter plane, likely using either a 6 or 8 seater. While in Glacier Bay, we will cruise on a high-speed catamaran and in Skagway board a historic train. Our flight to Dawson City will include a regularly scheduled commercial aircraft (likely on a turboprop plane). Though this trip is not as rigorous as our activity/hiking tours, we classify it as level "3" due to the ambitious nature of the program, the isolated locales visited, and the easy scenic hikes that are sprinkled throughout the itinerary. On these days, participants can expect to be walking on uneven ground in a wilderness setting for several kilometers at a time. We also have an easy canoe paddling excursion on slow-moving water. As such, a higher fitness level than average is recommended for this tour. All travellers will need to compete an online "self assessment" form prior to travel (this form can be previewed via the "Resources" tab at the top of your screen). Please note that most accommodation will not provide baggage handling -- you must be independent with your bags. 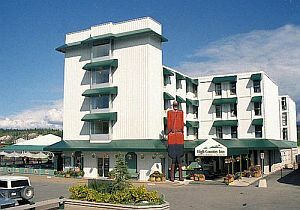 Our hotel in Whitehorse will be international class, well-located 3- star property. In Glacier Bay, we will be at a remote wilderness lodge. 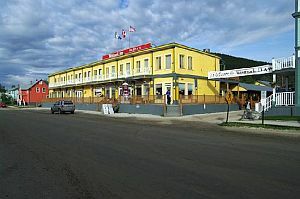 For Haines Junction, Skagway, and Dawson City, these nights may have us in simpler, though clean and comfortable, inns. Many are smaller properties (3-4 story) that may not have elevators. All accommodation have en suite toilet and bath though some have shower only (no bathtub). A mandatory single supplement may apply to this tour if you have selected our share program and we fail to pair you. Due to the high cost of single accommodation on this tour, the mandatory up-charge is 100% of the regular single supplement. Please click on "Map & Hotels" tab for more information. Tour Leader, Rachel Kristensen-Bertsch (who designed this tour and resides in Canada's North), driver, local step-on guides and various locales.